I am delighted to present the fifth in a series of profiles of senior women in Indirect Tax. The aim is to showcase the talents, experience and stories of these amazing women, and provide some insight into their professional and personal lives, what inspires them and what wisdom they can share. My fifth interviewee is Liz Maher OBE, Director at Centurion VAT. Following her time at HM Customs and Excise, Liz Maher went to work for Ernst & Young in 1989 becoming its first ever female VAT corporate services director in the UK. Liz now runs Centurion, which is an independently owned VAT practice servicing clients across the UK and beyond. 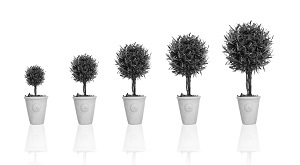 In 2013 it was awarded the National UK Taxation Awards “Best VAT Team” winning the premier spot. Centurion supports clients in both the public and private sectors from large corporates, housing associations, charities, and education bodies. Liz also enjoys delivering VAT training on behalf of Centurion including annual VAT updates for professional bodies including the AAT, ICAEW and ACCA and through the British Universities Directors of Finance Group (BUFDG). A keen volunteer Liz has been the Independent Auditor for Wales on the Investing in Volunteers Awards Program, a former Trustee of the Volunteer Matching Charity REACH, is a founder member of the Friends of Newport Cathedral Choir Charity and has served as a local board member of Young Enterprise Wales. She is a past President of the South and Mid Wales Chambers of Commerce and is an elected member of the CBI Wales Council. 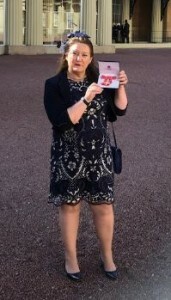 Liz was recently awarded an OBE for her role in the Diversity Agenda and Economic Development. She had her inauguration at Buckingham Palace last week. The fact that there is so much to do and the belief that you can make a difference to family, to clients we look after and the wider community, locally and beyond. Can you describe your current role to me in 1 sentence? I’m one of the three Directors of Centurion VAT – an Independent specialist VAT Advisory firm – supporting clients with complex VAT issues. My husband Alan had been approached by the University of Wales, Newport to form Centurion VAT in 1998 as a specialist VAT support to Universities – such had been the success of this that the team had grown and when I made the decision to leave EY in the Spring of 2002, I joined Centurion in the Autumn. Centurion continued its successful ethos of expert VAT support outside of the Big 4 pricing and environment – developing our sector offering and geographical remit. In 2007 we became an Independent VAT consultancy and currently are the largest VAT team here in Wales and arguably the South West. Centurion was the Winner of the Taxation’s Best VAT Team in the UK 2013. How did you get into Indirect Tax in the first place? By accident! I did the Civil Service Graduate Entry exam – didn’t put HMCE or Wales on my department or region choice list and ended up being sent to do VAT in Cardiff – I’m not a numbers person but VAT is about problem solving, interpretation of law and evaluation of facts and information – I found I actually enjoy it, especially when you can use those skills to actually help a client move forward. What do you think is the biggest challenge facing the Indirect Tax industry right now? Access to the level of technically skilled VAT people who really do understand that they have to add value not just know the public notices. The challenge from the way in which HMRC is approaching taxpayers at the moment especially the lack of good communication links for taxpayers with the department and the difficulty of getting any technical decision that you can actually rely on from the department. For Centurion the direction of travel of the Big 4 teams is creating lots of opportunities for us to support new clients with their complex VAT issues – like any SME it is the challenge of growing awareness of our offering into the wider markets. What advice would you give to young professionals – especially women – starting out on their Indirect Tax careers? Make sure you like doing VAT, decide where you want to operate in that sector – you’ll need technical knowledge and communication skills to work in the advisory sector. For women I suppose I’d say look at it as a work/life blend rather than balance – balance infers one aspect is always a counter to the other and that immediately creates a pressure so try not to do that. On building confidence especially when going out to network events I pretend to myself that the event is something I’ve organized and that gives me the confidence to approach any group – male or female and start the conversation with “Hello – how are you enjoying this?” Chat usually follows from there I find. Equality of treatment is still an issue but part of the solution is in our own hands – self belief and recognizing that talking more openly about inequality or areas of discrimination will lead influencers that are male to be part of the solution. At the CBI Wales Council we agreed a policy we call “PlusOne” where at quarterly Council meetings the Council members are encouraged to bring along a junior female colleague to sit in on the discussions. It helps build confidence and gets more diverse voices round the table in what many might think is a largely white male business community. CBI Wales Council is one of the most diverse Councils in the network we are told – still more to do – but if you want things to change you’ve got to get involved. What barriers have you had to overcome during your career to date? Back in my early career days – the 80’s and 90’s it would be the issues familiar to many – in the civil service being told by the Leader of the Investigations team that he didn’t like women in the team as they “disrupted” things. In the Big 4 it was largely about progression being linked to whether you were prepared to be the corporate clone image they wanted and who you knew in the existing partner network that would be onside. I remember being at a Regional Senior Manager development dinner and hearing the lead partner tell a joke that his boss had said years before as evidence of past views and how things had moved on. It was along the lines of “there was only one thing worse than a female partner and that was a Catholic one as she’d have even more children”. As the only female at the dinner I looked around and felt I needed convincing things had changed. That was 25 years ago now and from the outside it looks like the diversity agenda has moved forward in that corporate environment – which is to be welcomed. Have there been times when you considered changing career tack? Yes, when I left EY as my two children were under 5 but then I realized how much I enjoyed the VAT world and the business environment – I just wanted to find a way of doing it without timesheets! Luckily that’s what Centurion offered! And if yes – what made you stay? I love the way we work at Centurion – the way clients trust us based on what we deliver and not on a big brand name. I love the growth we’ve achieved as an SME and that clients stay with us and tell more people about us. What has been your ‘career-defining’ moment? I’d have to say getting an OBE last week for my role in the Diversity agenda and Economic Development – don’t think I’ll beat that as a personal recognition. On the work front it was the business winning the Best VAT Team in the UK Taxation award – fab team, great achievement. What are your honest thoughts on social media? I tweet a bit – I don’t do Facebook or other platforms. I do pick up news from Twitter but increasingly I wonder how much manipulation is out there. If you won a big award, who would you thank? The people who nominated me for it as I’d be amazed that what I do is anything extraordinary. I’d also have to thank my hubby for being supportive – luckily he knows what VAT and business world is like – and my team mates in Centurion. Hubby took me on a surprise trip on the Orient Express to Venice. What’s the one word you’d want people to describe you with? If you could have a Skype chat with anyone, living or dead, who would it be? What has been the best part of your day today? Having a breakfast cuppa at home looking out over the Welsh countryside and planning the to do’s of the day. Just back from New Zealand – an amazing country and I would love to visit again but Virgin Gorda in the British Virgin Islands is a personal favourite.